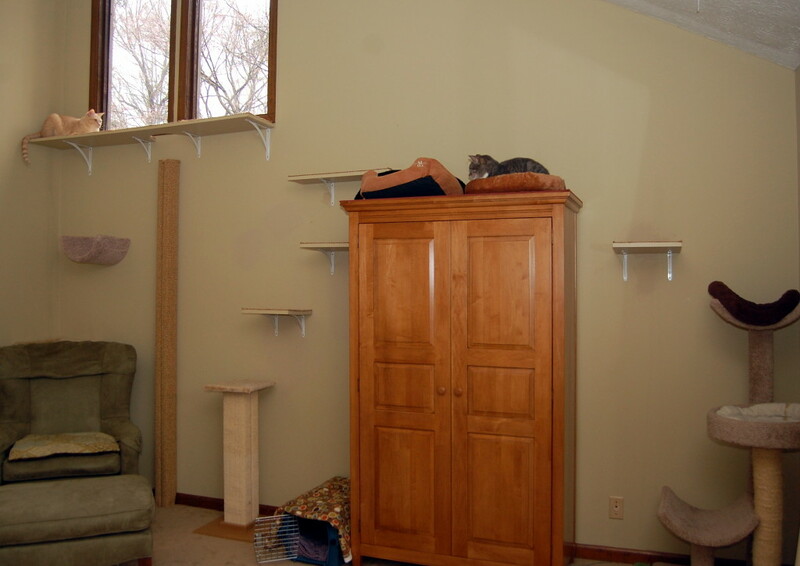 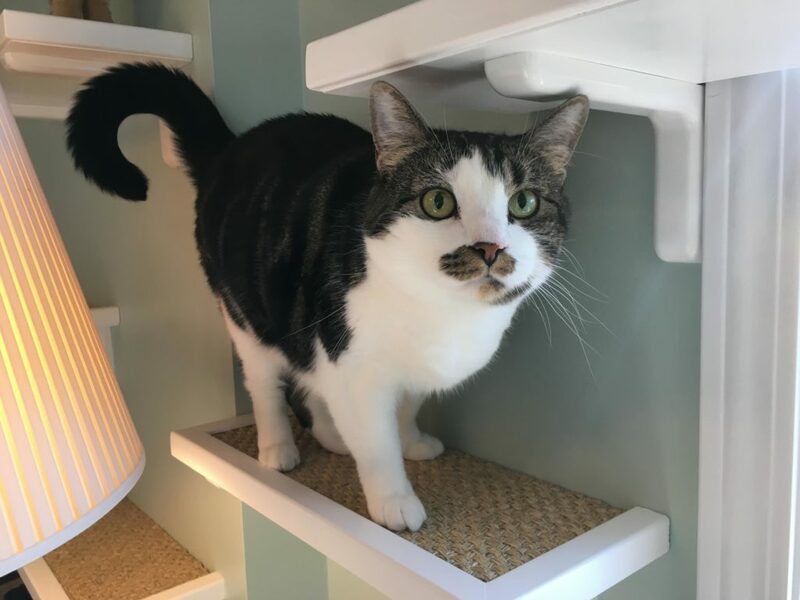 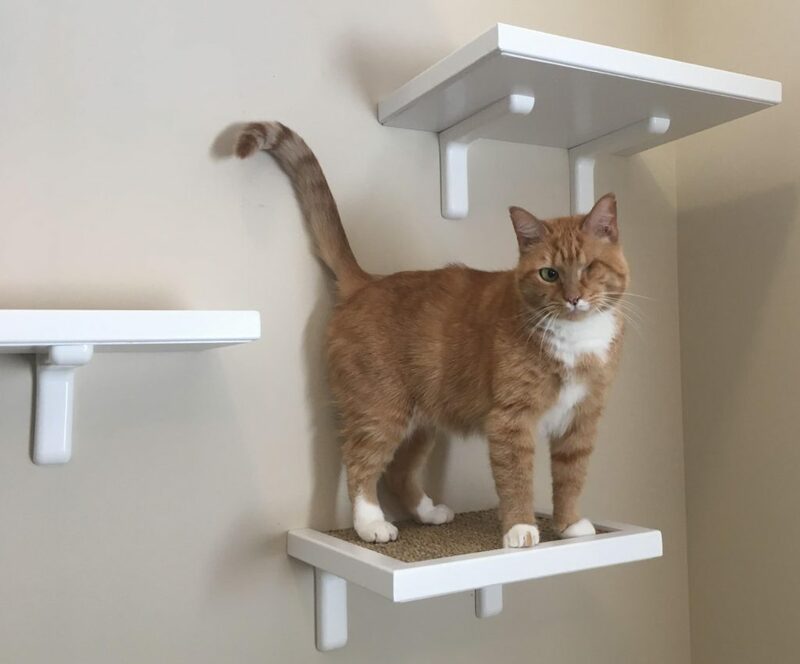 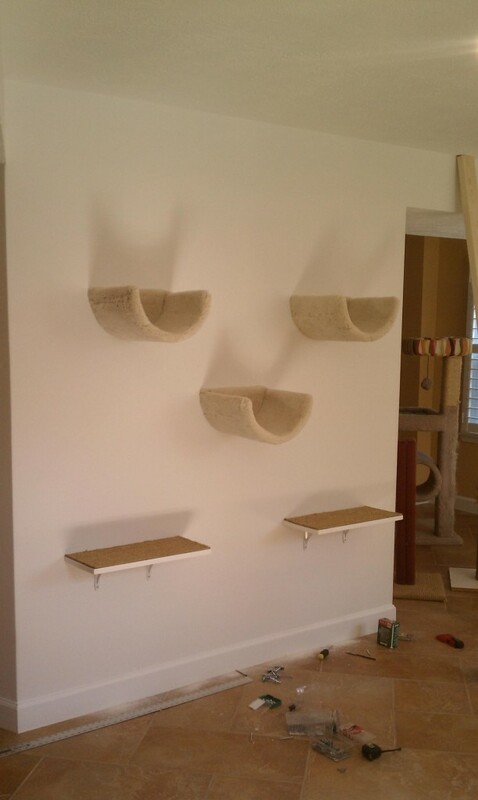 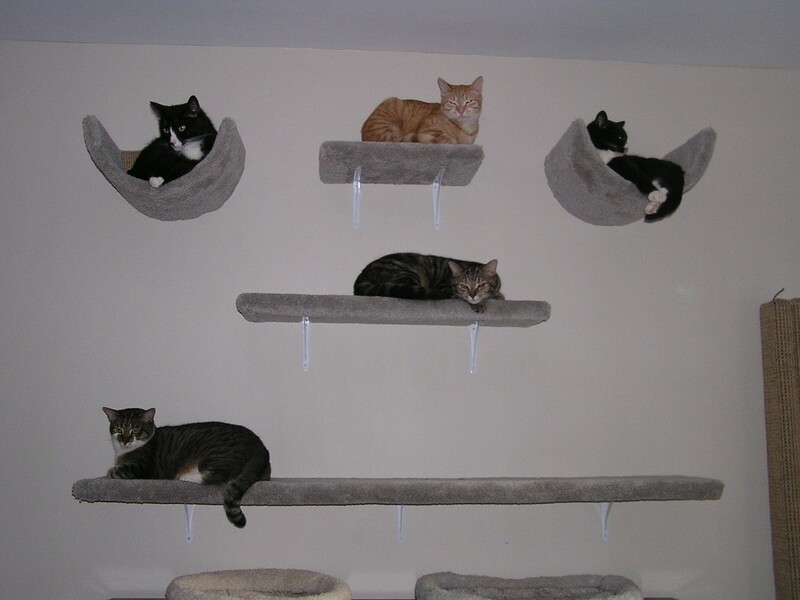 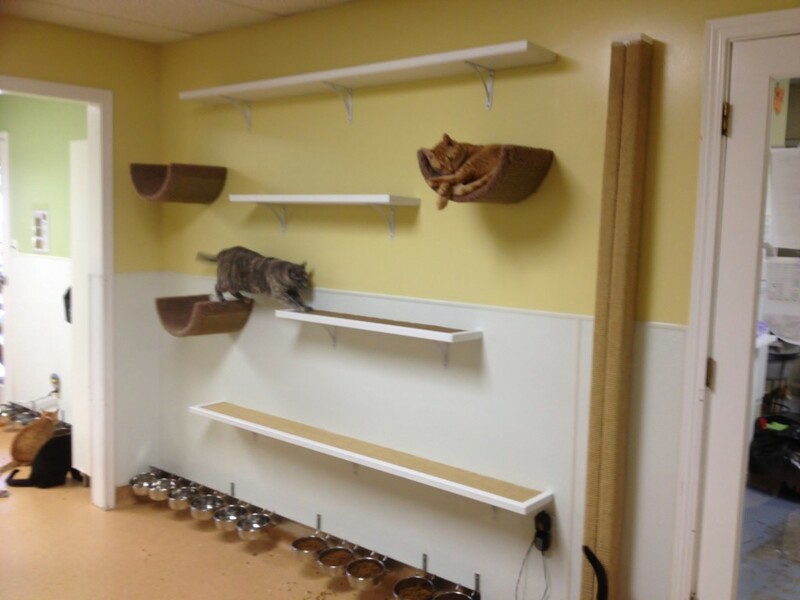 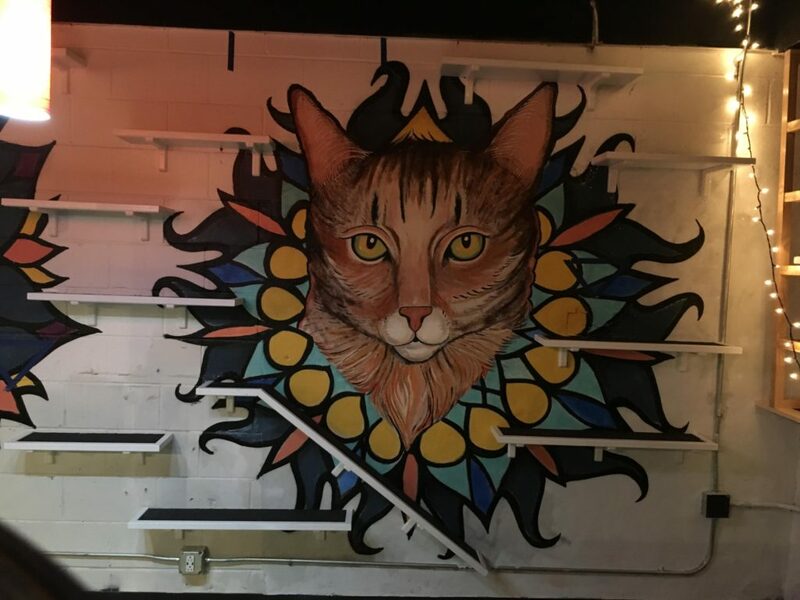 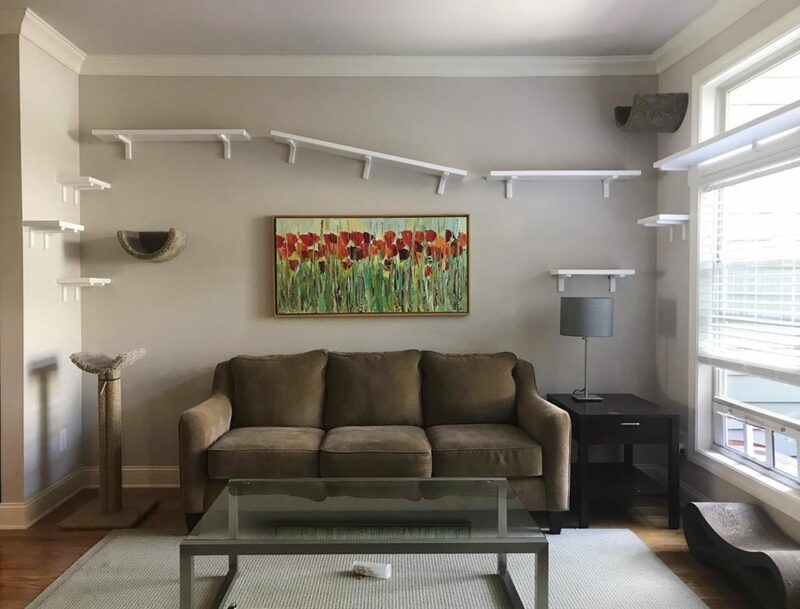 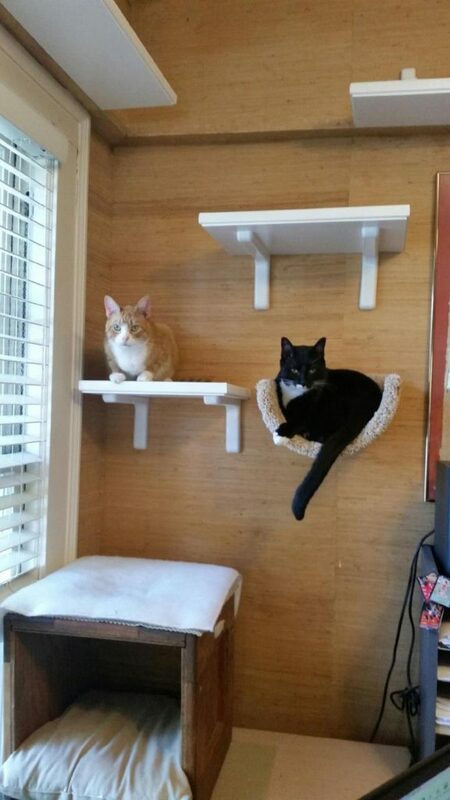 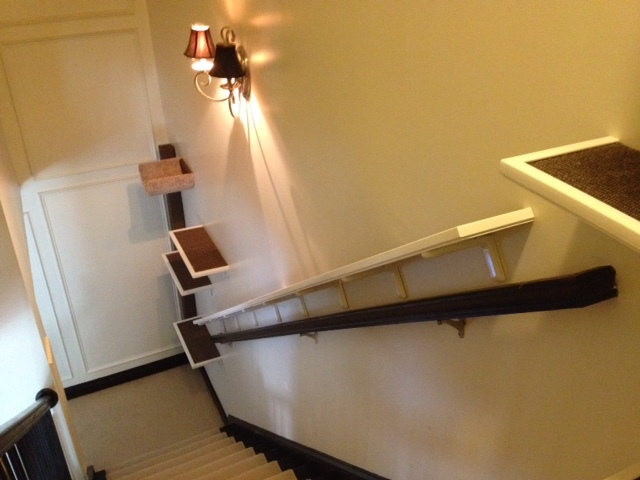 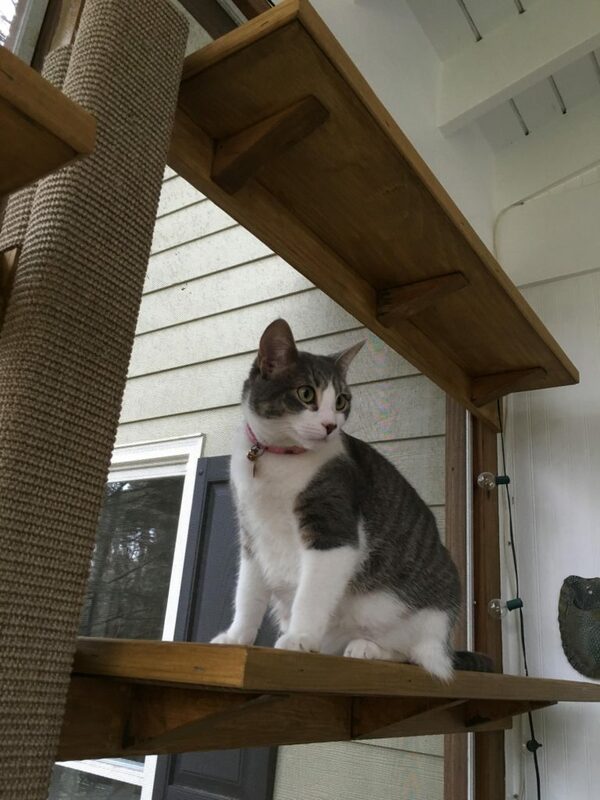 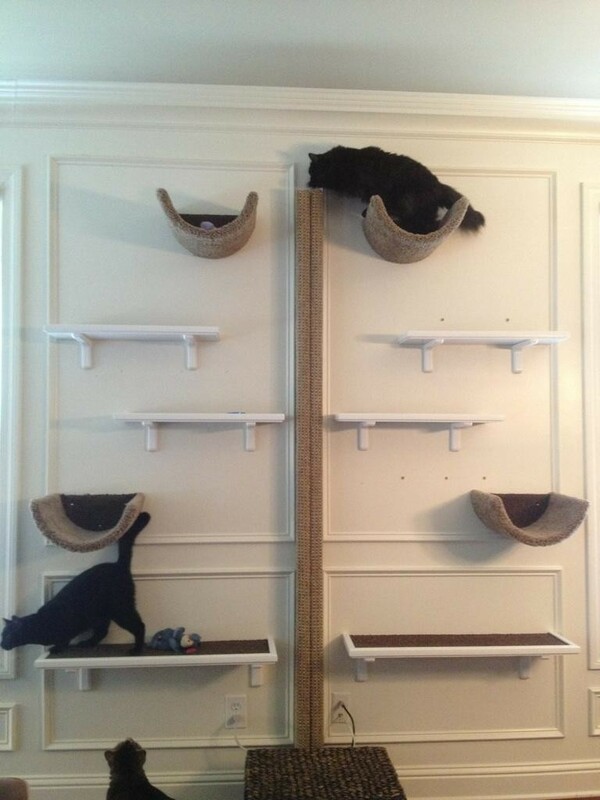 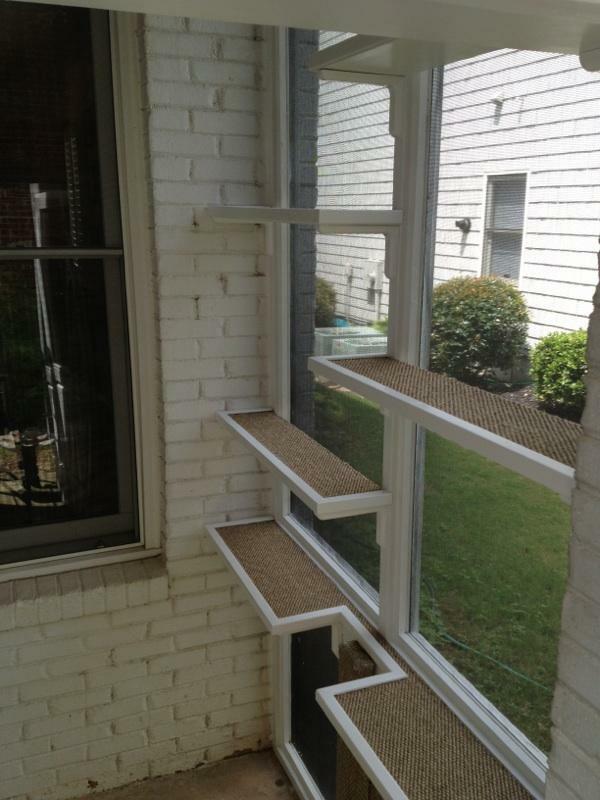 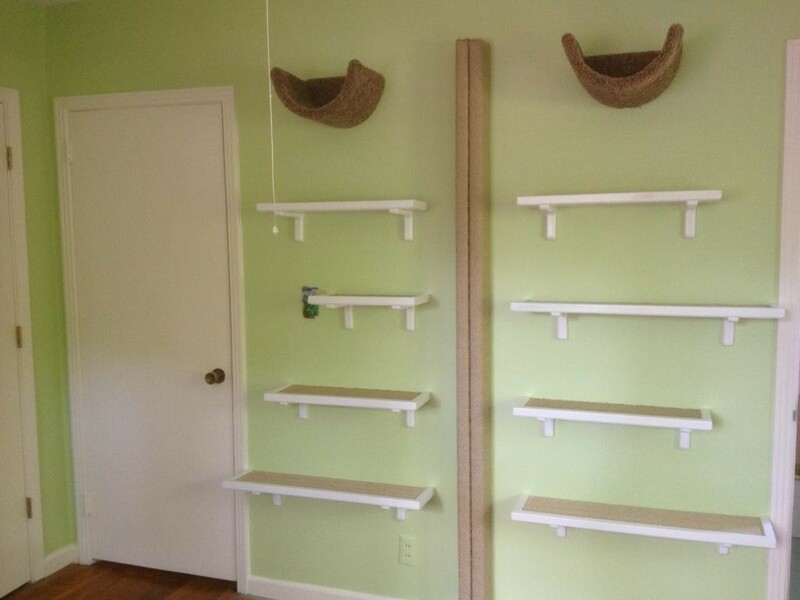 If you are interested in custom built vertical space for your felines or a "catification" home consultation on how to best maximize (catify) your current space to meet your cats needs please contact Fundamentally Feline for a home evaluation. 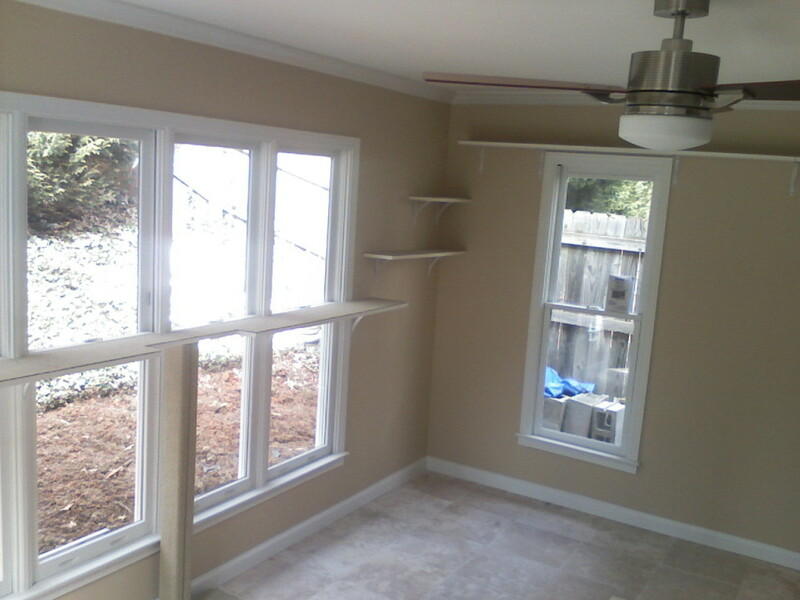 Serving the metro Atlanta area only. 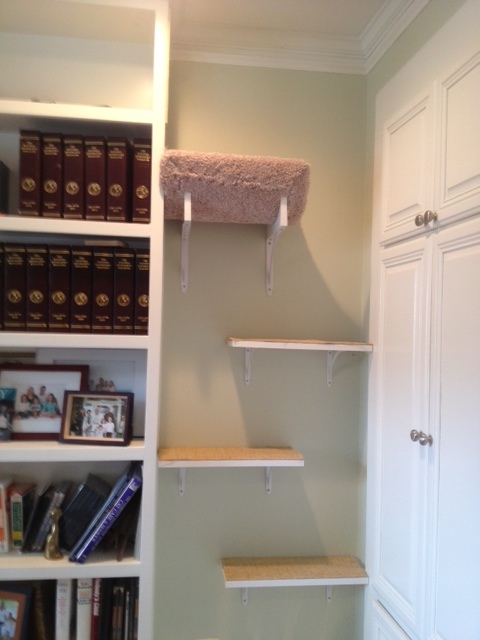 Why is vertical space important? 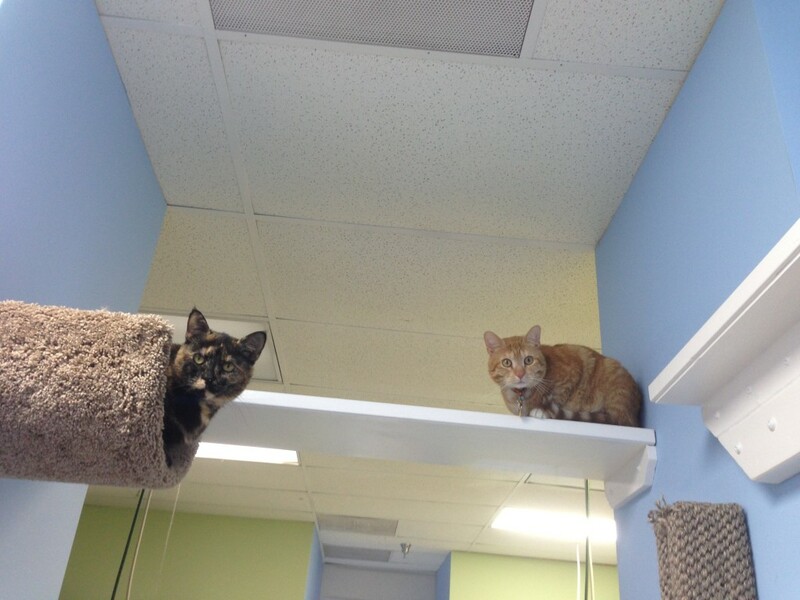 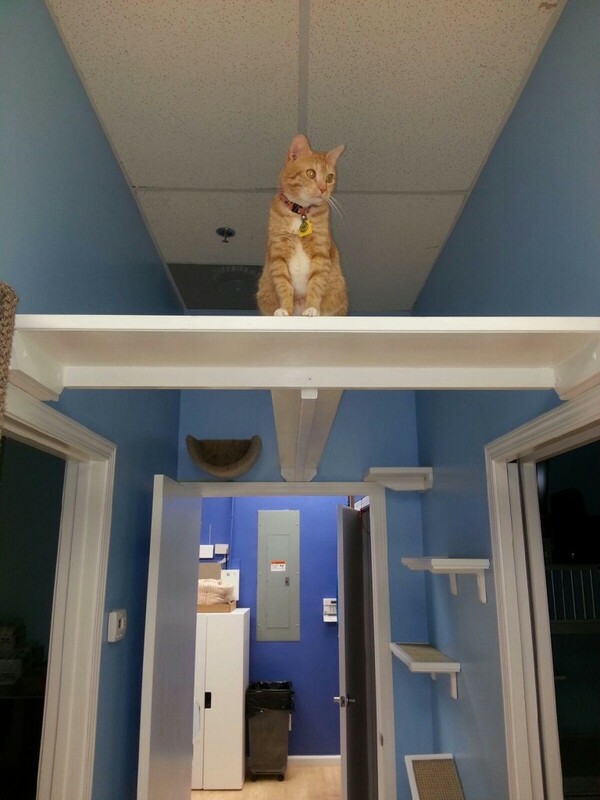 Being up high gives a cat much needed comfort and security. 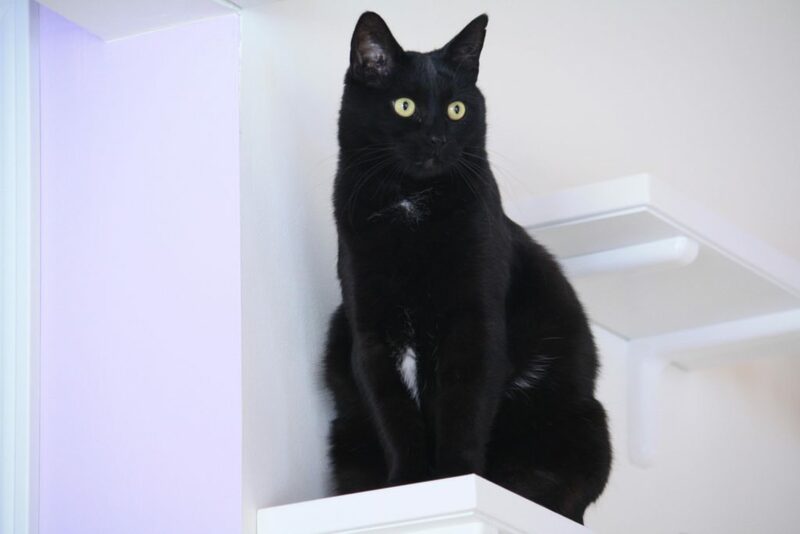 It allows them to survey many areas of the home from one secure vantage point. 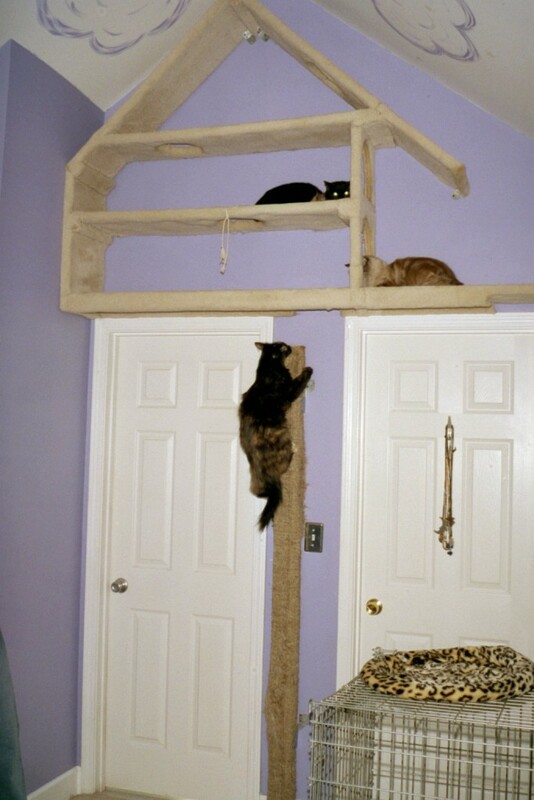 Height can help establish dominance and control of a particular space without having to physically engage in conflict, hence lessening aggression among cats in the same home. 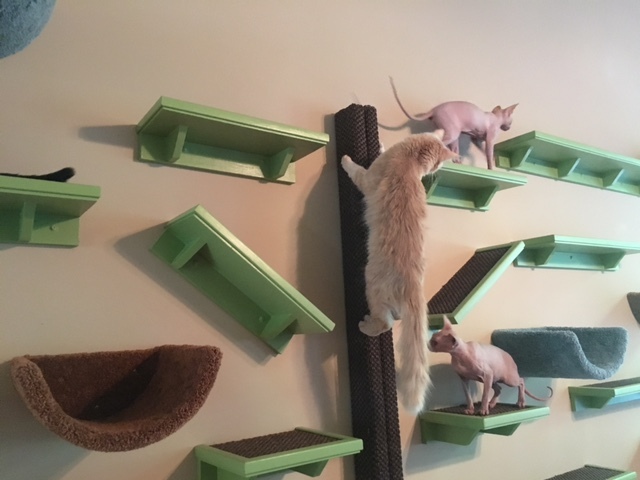 Climbing is a natural behavior in cats and can help keep them physically fit. 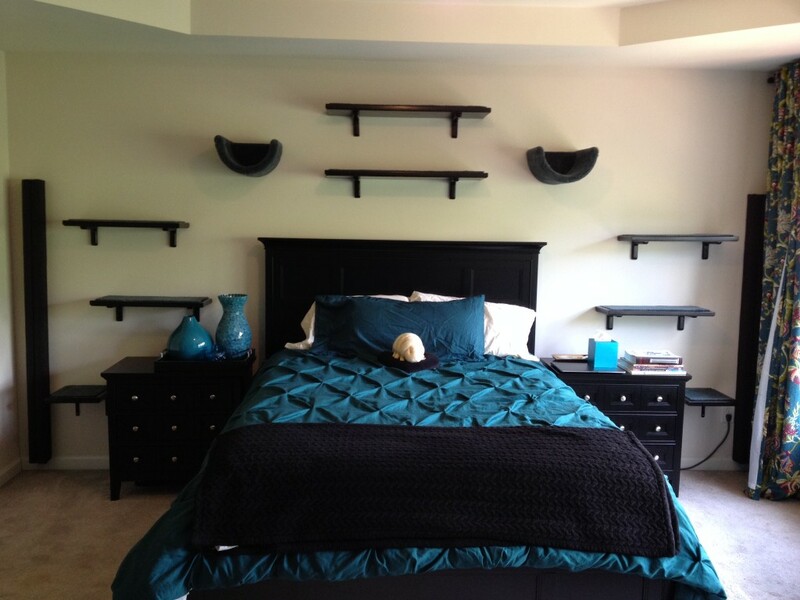 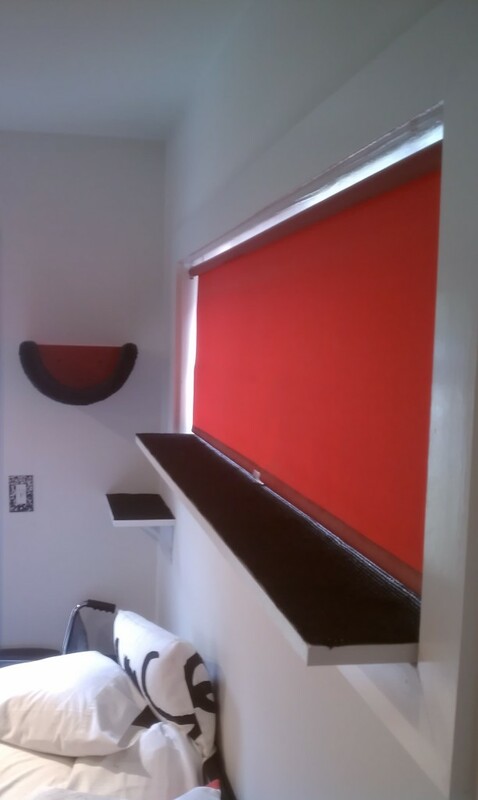 Visit our Vertical Space DIY Components page for self installation pieces. 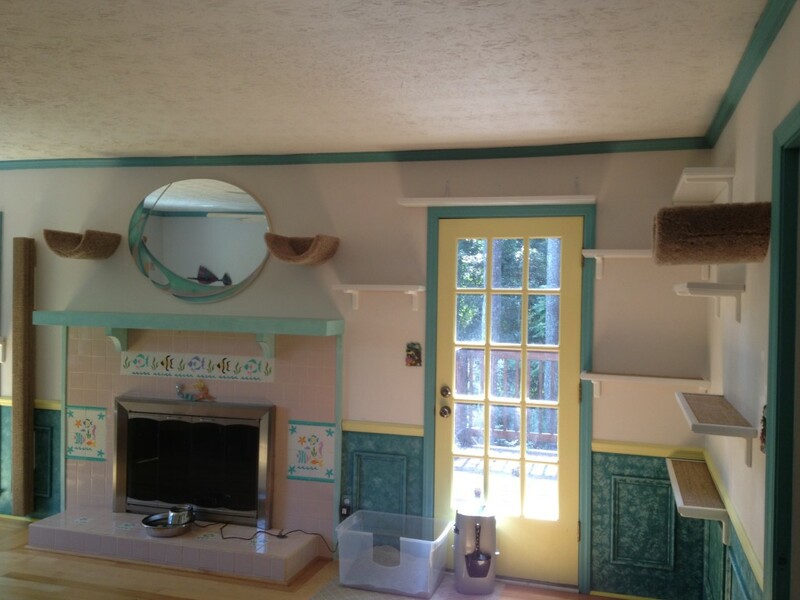 The living room feline wonderland!